Have you ever really thought about what your services department is doing in the revenue growth process? Just because you do have some current customers doesn’t mean their part in the growth equation is done. Customer success should be the primary concern of your services department. It’s not enough that they bought from you. If you want to keep that business, you can’t rely on your customer sticking with you out of inertia. Today’s customers are always actively seeking ways to resolve the pains of the problem plaguing their businesses, and if you’re not delivering, they’ll find someone who will. Demonstrating your value in their journey requires constant dedication to their success. So, how do you demonstrate that value? How do you convert your customer service department from a reactive mode that spends most of its time swamped in problems to a proactive machine that’s always on the lookout for opportunity to delight? The key is in aligning your efforts with sales and marketing enablement programs. Only by uniting all three will you hold the tools to evaluate how your customer’s doing, and knowing exactly when and how to step in and address issues. Every B2B company delivers its services differently to sometimes very diverse client bases. But no matter the scale of variance, there are always common issues that can be grouped and dealt with together. Your marketing and sales departments have sold your service based on the promise of resolving some pain. The job of the services department is now to make that promise reality. What we do is show you smart CRM management translates into that delivery. Service enablement grants B2B companies the ability to drive customer success more accurately than ever before. The critical tool that makes it all work together in harmony is the HubSpot CRM. Using this, you integrate your website, your customer data, your communication, and even your customer service, into one comprehensive, cohesive engine. But our real secret weapon is our people. We maintain a talented team of account strategists, content writers, marketing technologists, web designers, graphic designers, digital marketing experts, SEO specialists, and B2B consultants. When you mix these guys together, you get a smart, results-oriented inbound strategy that meets the customer where they are and nurtures them through both the sales process, and the success phase. Just as the journey doesn’t end with marketing or sales, so too it continues through and beyond customer service. Sales should maintain its relationship to ensure that things are on track and keep the conversation going around new products and services that might be great fits, and marketing should listen and respond to the real-world experience services gleans from the customers it interacts with. By pairing our services enablement solution with our marketing and sales enablement solutions,and working to ensure that all three departments are working together, you’ll get optimized results in all areas — and from the customer’s perspective, the entire process will appear so much smoother. This will imbue more confidence in their relationship, and you’ll find them much more able to succeed with. Sharing information, learning from it, and optimizing toward a better approach on all sides of the deal is the most powerful way to level up from your standard marketing and sales enablement strategies. That’s the cohesive approach we take. There’s a name for it: the flywheel. With the customer at the centre, each department adds momentum a little at a time, spinning the customer up an unstoppable growth trajectory. So, let’s talk about your business, your customers, and what we can do to help you serve them better. Let’s talk about your business, your customers, and what we can do to help you grow. One of them is by centralizing and organizing your data. Know what the other is? I am proud to say that I am the first person to be running the gauntlet of all three roles at Flawless Inbound: Creative Writer, Technical Team (Lead), and now Account Manager. I look forward to the challenges of integrating people rather than technology. 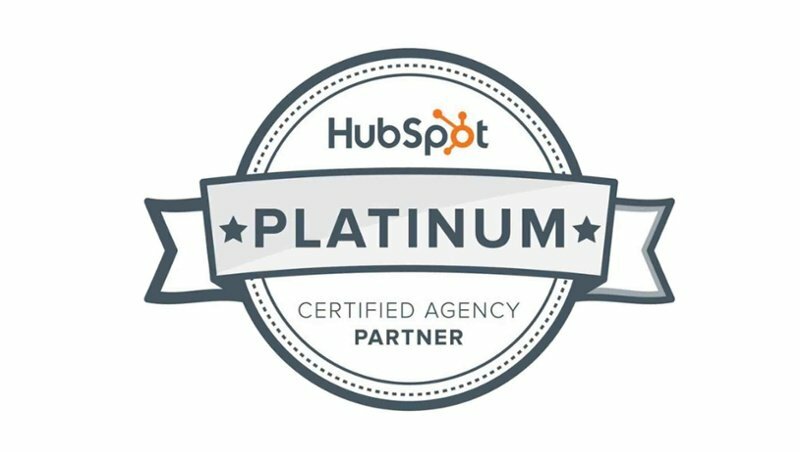 I have no doubt that I will deliver new standards of excellence in this new role with my experience, education, and exposure to everything HubSpot. Bring it on — I was made for this. Dione has over 15 years of progressive marketing experience in both B2B and B2C organizations. Strategic and results oriented her key skills are in project management, developing marketing strategies, brand awareness, creating integrated marketing campaigns, lead generation and social media & digital marketing. Fascinating Facts: When not drowning in books or food, Aakriti loves dancing. Rhett McDonald comes with 15+ Years business experience. He specializes in B2B Sales, Business Development and Operations Analytics. Rhett prides himself in forging strong partnerships with a diverse corporate community inclusive of small to large businesses prepared to engage in visionary thinking and strategic operational approaches. Rhett is motivated by challenges and maximizing the revenue potential for all clients he represents. Fascinating Facts: When Rhett is not working, he spends time with his family. Also, he participates in various sports, enjoys movies and participating in networking events. Ryan graduated from the University of Alberta with a degree in Physics and a passion for writing. Serving several years with The Gateway newspaper, he wrote and edited everything from breaking news to movie reviews, dabbling in photography and video along the way. With further experience in a newspaper non-profit, he’s ready to create any content, tackle all sorts of problems and find the angles others miss. While Saher is not working at Flawless, he is being coached by his son, Jonathan, and his daughter, Nathalie, on how to be a better father. He loves #Meditation, #Climbing, #Martialarts and holds his first degree black belt in karate. Liliane comes from a business administration and financial background with 15 years’ experience in business. She is keen on making things happen and achieving results. Working in the marketing industry, especially with the Inbound Methodology, makes it the perfect environment for her to bring her best efforts forward. Liliane’s daily focus is to move Flawless Inbound, the team, and its clients a step forward towards their goals, from engaging in strategy and campaign planning to helping the Flawless team reach their full potential. When he is not programming he loves to travel, cook Chinese food with Indian flavors, read books and play badminton. Patricia brings to the team over 20 years of well-rounded marketing experience in both client and agency environments across several industries. Her skill set includes client service, campaign strategy, business development, social media and project management. Patricia is responsible for Account Manager development, customer success management, client retention, staff resource management, and account strategy. Kulbir is a digital marketing expert with 8 years of experience in the field. She has a track record of developing audience-winning strategies that increase online revenue. With a Bachelor of Technology degree in Electronics and Communication, she’s skilled at identifying web optimization opportunities, directing social media campaigns, and pushing on-line publicity and promotions. Fascinating Facts: When not working in the digital world, she spends her time with family and friends – and loves to travel. Olivier is a marketer with nine years of comprehensive marketing experience. Whether developing brand and market strategies or analyzing results and improving web design, he is always looking to learn and apply different skills to create innovative marketing campaigns. His experience supporting IT service providers and clients in the hospitality industry has enabled him to align his marketing expertise with a lifelong passion for technology and travel. John, brings a unique combination of analytical thinking, consultative sales, and team building skills to Flawless Inbound. John’s insatiable thirst for knowledge and seeking new experiences has lead him through a journey of three graduate degrees in 3 countries, course work in Christian theology, sales in Microbiology & software, as well as working for Tech startup’s, universities and industrial research. John’s latest accomplishment was building the partnership department for a successful tech startup, bringing in 12 new partners and a pipeline of over 700K in less than 12 months. John’s greatest strength is adaptability, leadership and integrity. His motto is to never compromise integrity for short term benefits. At Flawless Inbound John is focussed on helping B2B’s with their #InboundMarketing strategy and best practices in #B2BMarketing. Fascinating Facts: When John is not working his priorities are his family, #ChristianTheology, prayer and training youth in #ChristianApologetics. John’s ultimate aim in life is to leave behind a legacy of faith in God, dignity for human life, integrity and hard work for his kids and everyone he comes across. After graduating with her Professional Communications degree, Erika spent time as a newspaper editor before coming to Flawless Inbound, originally as a Content Writer and currently as an Account Manager. She has experience in content strategy, project management, marketing plans, design, and more. Her goal is to combine strategic planning, excellent content, and beautiful design to help clients achieve results and stand out from the crowd. #FascinatingFacts: When she’s not spending time browsing social media, you can find Erika cuddling with her cats, reading a good book, or hanging with friends. Konn Lavery started working with Flawless Inbound back in 2014. He has worked in the design industry since 2010. He has been involved in projects focusing on logo and print design, website design and development, user experience and animation. He gained his skill base through the Digital Media Production program at the Edmonton Digital Arts College. Afterwards he became a core instructor at the school for a couple of years before branching off into working with other companies to broaden his skills. #FascinatingFacts: When he is not working in the design industry, Konn Lavery’s passion lies in story telling with his novels. They range in horror, dark fantasy and thriller genres. He can be found at conventions and book signings giving live readings and discussing on panels about writing. Craig is a fan of the oxford comma and citing your sources – which is no surprise for someone with a BA in Anthropology and Classical Studies. After eight years in academic administration, which included program advising, policy research, and editorial support, he obtained his Diploma in Public Relations to make writing a bigger part of his career. After all, storytelling is one of the best ways for an organization to show its values in action! After obtaining her degrees in both English Literature and Journalism, Amanda went on to work for several years as a television and radio producer. Shortly after, Amanda progressed to specializing in inbound marketing- related content writing, which she continues to enjoy to this day! After 2 years in a marketing role trying to disrupt things at a start-up, Deepesh joined Flawless Inbound as a Marketing Technology Manager. He specializes in streamlining marketing processes, developing SEO strategy, and driving up user engagement. After graduating as a process engineer, Deepesh worked in the B2B space looking into marketing needs and handling process improvements. Deepesh always desires to achieve marketing targets in a cost-effective way. His role at Flawless Inbound involves driving up client’s SEO to the next level. Antoine is a Graphic and Web Designer/Developer with over five years of experience. He builds fully responsive websites from the ground up using the latest web design concepts. With a Digital Media & IT Diploma and a strong foundation of technical skills, he is well on his way to becoming a Full Stack Web Designer/Developer. Fascinating Facts: Outside of work, he spends his time with family and friends – and plays too many video games.